The crucifer is a paradoxical vegetable: It is uniquely good for us and, at the same time, it is perhaps not. What seems to matter is how we prepare and eat it, and the choices we make in this regard are meaningful ones. Let’s start by clarifying which of the more common vegetables are crucifers, and the length of this list may surprise you: arugula, Brussels sprouts, Swiss chard, mustard greens, radishes, horseradish, turnips, bok choy, cabbage, kale, watercress, wasabi, broccoli, cauliflower, kohlrabi, rutabagas and collard greens. The good news about crucifers is that they are said to have substantial cancer fighting power. According to Dr. David Servan-Schreiber, they prevent precancerous cells from developing and promote the suicide of cancer cells; they also break down certain carcinogens. 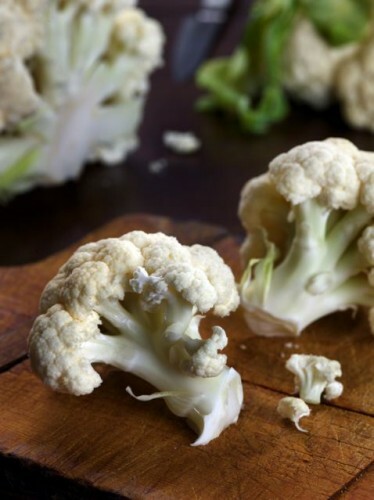 These are important reasons to try, when we can, to incorporate cruciferous vegetables into our diets. Yet the bad news about crucifers is that, in certain situations, the very same chemicals that fight cancer may also be toxic and potentially do us harm. It is not unusual for plants to contain toxic chemicals, which provide an important means of self defense and necessary protection against the elements. The naturally-occurring chemicals in crucifers are called goitrogens. Current research suggests that when we consume them in small amounts, they increase our need for iodine. When taken in large amounts, they can damage the delicate thyroid gland. They are also thought to prevent iodine from passing into breast milk, which is worth knowing if you’re a nursing mother. What, then, do we do about the goitrogens in cruciferous vegetables? Many food scientists who study this issue believe that cooking crucifers is helpful. Boiling them for 30 minutes destroys nearly all their goitrogens. Steaming crucifers until they are fully cooked reduces their goitrogens, but doesn’t eliminate them entirely. Fermenting crucifers–as in traditional saurkraut, for example–does not eliminate goitrogens, but sauerkraut is meant to be eaten in small amounts as a condiment so its benefits likely outweigh any concerns. To be honest, these cooking solutions leave me with more questions than answers. If I boil crucifers, should I discard the soaking water, along with many of its important nutrients? And if I consume the cooking water–for example, when I boil cauliflower as part of a soup–am I taking in goitrogens even though the cauliflower is cooked? What effect do baking, roasting, and sauteeing have on goitrogens. And if it’s the goitrogens that confer cancer-fighting benefits, do I really want to eliminate them entirely? Science changes all the time, and our understanding of the science changes, too. Further, there is often a difference of opinion among scientists who consider questions like these. So, is it worth keeping this issue in mind? I think it is, though your response may depend upon your own personal lens. If you have a thyroid condition, you may want to thoroughly cook your crucifers. Knowing that your thyroid gland is vulnerable, caring for it well may be your priority. If, on the other hand, cancer-prevention is your goal, you may decide to lightly cook your crucifers and intentionally retain some of the goitrogens. Either way, we can probably all agree that it would be difficult to eat the variety of important vegetables we need while excluding a list of options this large. Here is what I do about crucifers: I hedge my bets. I almost never eat crucifers raw. Nearly gone are raw broccoli and cauliflower for dipping, cole slaw, and salads of arugula or kale. On the rare occasion that I do eat these vegetables raw–when I, perhaps, eat a garnish of raw arugula–the quantity is small. And I personally don’t worry about which cooking method I use as long as my crucifers are indeed cooked. With this approach, I am counting on the fact that I’m avoiding excessive exposure to goitrogens and, at the same time, benefiting from some of the cancer protection these plant chemicals are said to offer. I also make an effort to increase my iodine consumption for two reasons. First, iodine is needed for normal thyroid function and helps to compensate for the goitrogens I am taking in; and, second, because iodine itself provides important cancer protection. My choice of an iodine-rich food is kelp, which is a sea vegetable. But there are others, like ocean fish, that you might prefer. With each of the recipes below, it works well to prepare a batch or two of the filling and then refrigerate it to use for several days. This up-front work will enable you, when you’re hungry, to cook up either sandwich in minutes. When I have broccoli in the house, this Broccoli-Cheese Melt makes a good last-minute meal, with a bowl of soup or salad on the side. My children even like it for breakfast, which might be reason enough to give it a try. It’s my own take on a recipe I learned years ago from Mollie Katzen’s Moosewood Cookbook, and the broccoli mixture works just as well on a sandwich as it does inside of an omelet if you have leftovers. When you’re combining these ingredients, keep in mind that there’s no “right” measurement. How much you’ll get depends on how large your onion is and on how large or small your broccoli pieces are when you measure their quantity. But rest assured that you really can’t go wrong. You are practically guaranteed a good sandwich out of this effort. So trust your own sense of proportion and taste, and enjoy! 2. Place the broccoli florets and stems into the bowl of a food processor fitted with a metal blade. Chop them into fairly fine pieces and then put them into a medium-sized bowl. 3. Peel the onion, cut it into quarters, and place the quarters into the food processor bowl; there is no need to wash or wipe it. Pulse the onion until it is finely-chopped, but take care not to let it liquefy. Then, using a rubber spatula, scrape the onions and any remaining broccoli pieces into to the bowl with the chopped broccoli. Stir in the sea salt and basil. 4. Warm a spoonful of olive oil in a skillet over a medium-low heat and, when it is warm, add the broccoli-onion mixture. Saute the mixture until it is well cooked, but the broccoli is still a bright green, about 8-10 minutes. Turn off the heat, and season to taste with additional sea salt and freshly-ground pepper. 5. Using the rubber spatula, spread the broccoli-onion mixture onto the bread slices and then cover each with cheese. Place the bread slices on a tray and warm them in the oven until the cheese is melted and slightly bubbly, about 10 minutes. Serve warm. This is my new favorite sandwich recipe, and I learned it from the farmers at Keith’s Organic Farm Stand in New York City’s Union Square. Just try to envision this: a hot pan-cooked tortilla filled with delicious kale, caramelized onions, sharp cheddar cheese and a bit of spicy brown mustard, cooked so that it can be easily picked up and devoured. The measurements here are intentionally imprecise because they can be, because any way you combine these ingredients your sandwich is going to be memorable. 1. Bring a small pot of water to a boil and add a teaspoon of sea salt. When the water boils, add the chopped kale and cook uncovered for about 5 minutes. Drain, let cool, and squeeze out any remaining liquid. 2. Warm a spoonful of olive oil in a skillet; cast iron works well if you have it. Add the onion slices and a sprinkling of sea salt and cook over a low heat, stirring often, until the onions become light brown and slightly “melted.” If the onions begin to stick to the bottom of the pan, you may need to lower the heat or add a bit more oil. Browning the onions in this way can take 20 minutes or longer, but your patience will pay tasty dividends. When the onions are nicely caramelized, add the drained kale and minced garlic and cook for a few extra minutes. If needed, add a bit more sea salt and then transfer the mixture to a plate and set aside. 3. Place the tortillas on a counter. On two of the tortillas, spread as much cheddar cheese as you would like; a thin layer is enough for me. On top of the cheese, spread as much of the kale/onion mixture as you want to use (you can save what you don’t use for another day). On the other two tortillas, spread a thin layer of mustard and then turn the two mustard-covered tortillas over and place them on top of the kale-covered tortillas. 4. Wipe the skillet clean and warm it over a low heat. Brush a thin coating of olive oil over the bottom of the skillet, and place the first sandwich into the skillet. Cook it on both sides, until it is crispy and light brown. Repeat this process with the other tortilla. Then cut both tortillas into halves or quarters, and serve them warm.